Steve has 30 + years of personal injury, social security disability, business, consumer, and oil & gas law. He is admitted to practice in Ohio and Washington, DC. Steve works for people with problems. 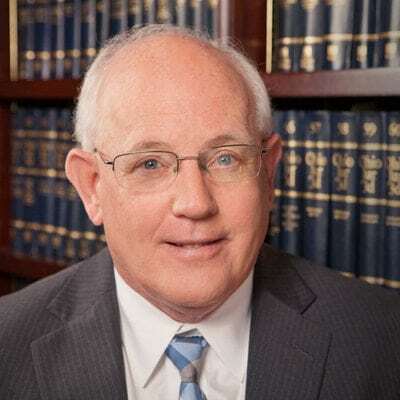 As a youngster, Steve watched his father—an attorney for over 50 years—help people in all sorts of circumstances solve their problems through the practice of law. As a teenager, after spending several summers assisting in his father’s office, he knew that he, too, wanted to become a lawyer and tackle problems to improve peoples’ lives. Today, Steve puts his clients’ interests above all else. He listens to their stories, carefully, and earns their trust. He has years of experience and legal knowledge in resolving personal injury claims, business disputes, and civil litigation matters. When someone who has experienced a frightful motor vehicle accident, for example, and comes to Steve for help—and justice—his first job is to take the “unknown” out of the process. Steve knows what it takes to put a case in the best position for a fair settlement—approximately 98 percent of all motor vehicle injury cases are settled before filing a lawsuit. He also knows when an insurance company is being unfair. In those cases, Steve and the Graham & Graham team of trial lawyers are well-prepared to try a case in front of a jury to the conclusion. Graham & Graham has been serving the people of Southeastern Ohio for nearly 100 years, which reflects the many success stories that generations of its lawyers have delivered for clients. Carrying on in the Graham & Graham tradition of service to the community, Steve is involved in both the Ohio Association for Justice and the American Association for Justice.